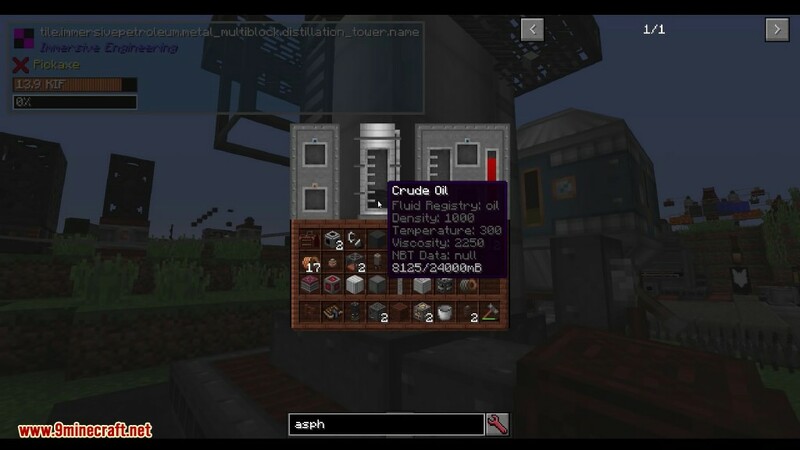 Immersive Petroleum Mod 1.12.2/1.11.2 introduces oil, oil extraction, and oil processing to the mod’s tech progression. 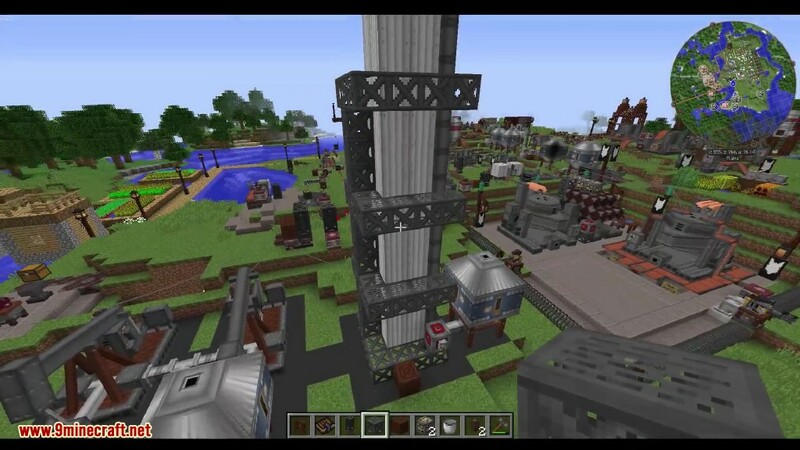 It includes an expansive set of configuration options to ensure that it will be a welcome addition to any modpack that includes Immersive Engineering. 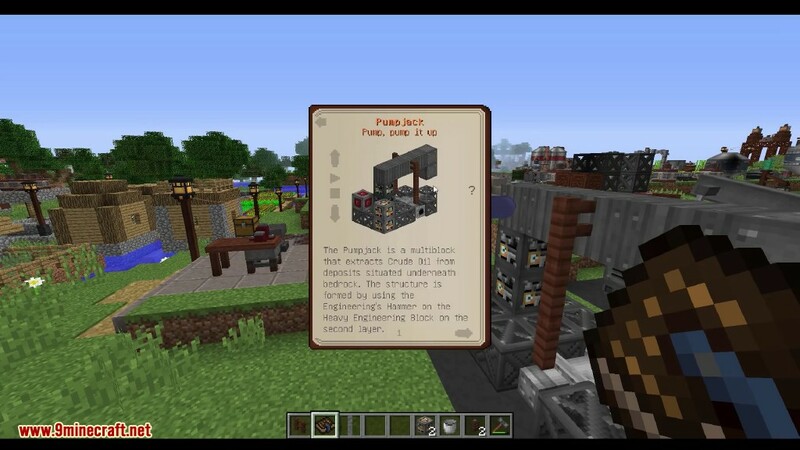 The Pumpjack is a 6x4x3 multi-block added by Immersive Petroleum used to extract Crude Oil from Oil Reservoirs. These reservoirs can be located using a Core Sample Drill. Once powered, the Pumpjack will only operate if a reservoir exists below it. 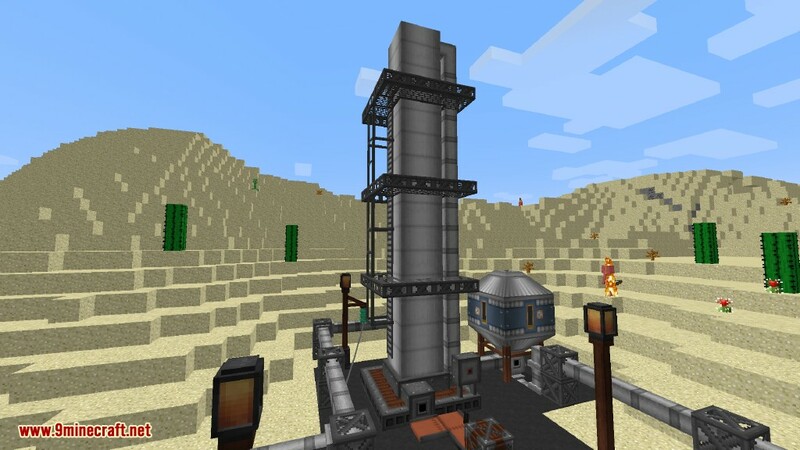 If pipes are connected to either of the fluid outputs, the Pumpjack will begin to output oil at a rate of 15 mB/tick. 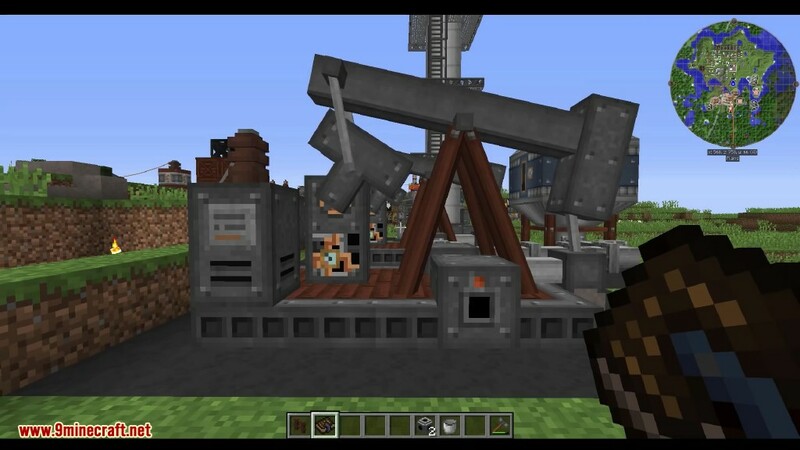 Multiple Pumpjacks in one chunk will increase the rate of extraction. If the oil reservoirs are emptied, up to 6 mB/tick of oil can be extracted from the drained reservoir using a single Pumpjack. 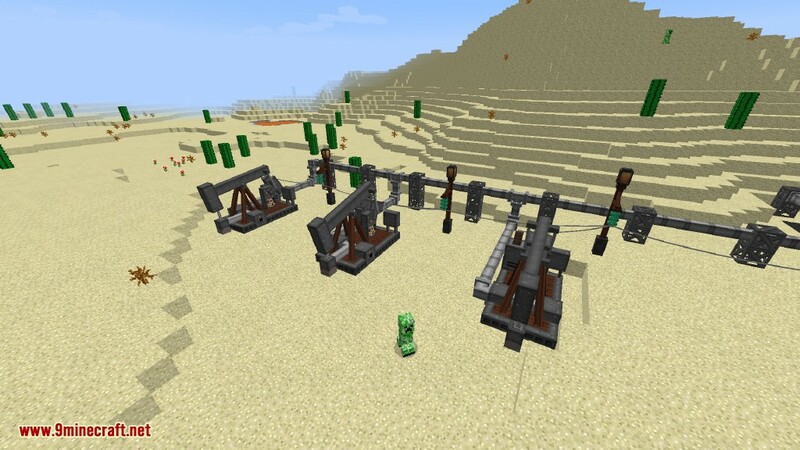 The Pumpjack requires 11 Steel Scaffolding, 6 Treated Wood Fences, 4 Fluid Pipes, 4 Steel Sheetmetal, 2 Blocks of Steel, 2 Light Engineering Blocks, 2 Heavy Engineering Blocks, and 1 Redstone Engineering Block. 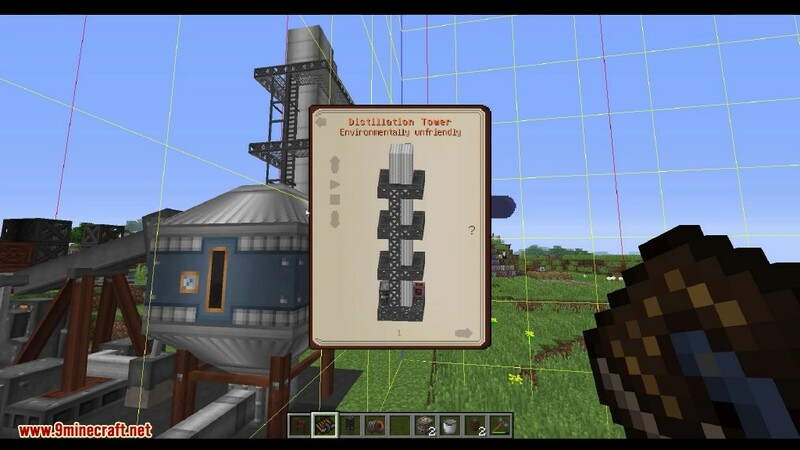 The Distillation Tower is a large 4x16x4 multi-block added by Immersive Petroleum used to process fluids into other fluids. It is primarily used to convert Crude Oil into usable Diesel and Gasoline fuels and Lubricant, creating Bitumen as a byproduct. The port on the back of the Distillation Tower is used to input Crude Oil. 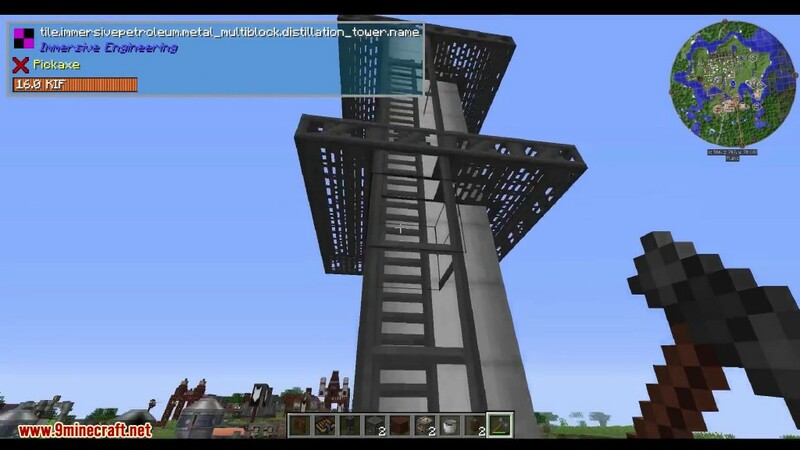 Redstone Flux (RF) is inputted from the top of the furnace located on the back of the multiblock. Bitumen is output through the port on the front of the machine, and Diesel on the bottom side. 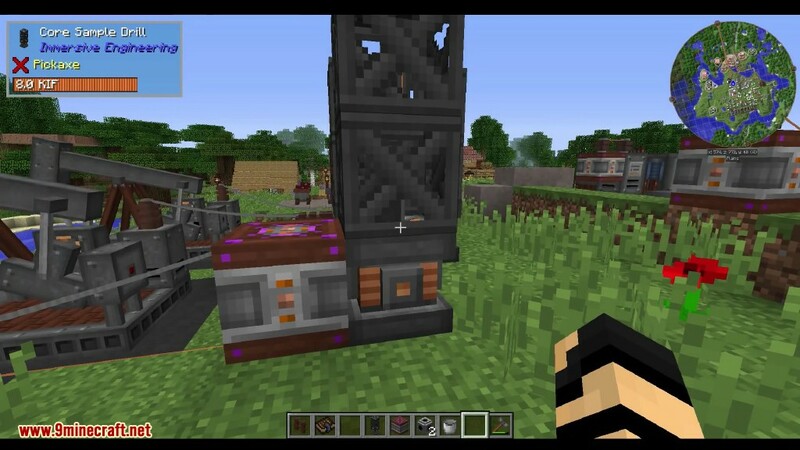 The multiblock’s processes can be halted via Redstone through the control panel with the red dot. 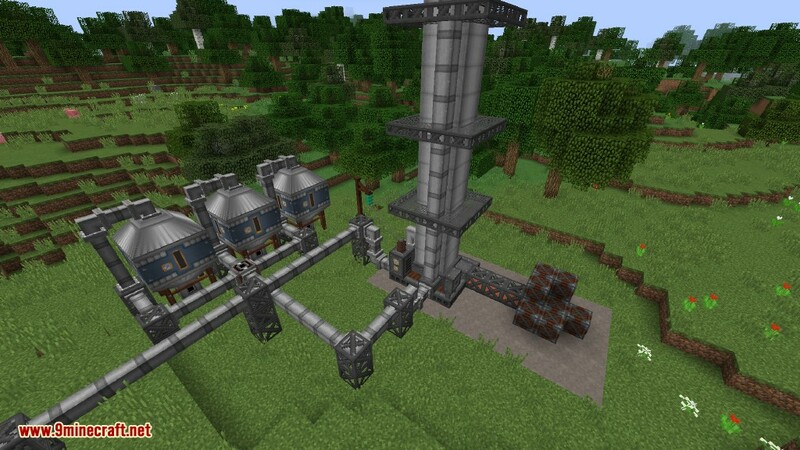 Every tick, the Distillation Tower can process 75 mB of Crude Oil into 27 mB of Diesel, 39 mB of Gasoline, and 8 mB of Lubricant. There is a 7% chance each operation for a piece of Bitumen to be produced and output. A single Distillation Tower can process a bucket of Crude Oil into byproducts in 2 seconds, producing an average of 2.8 Bitumen per bucket. A single Distillation Tower can handle the outputs from 5 Pumpjacks and can power 5 Diesel Generators. It is a basic power provider that burns Gasoline. 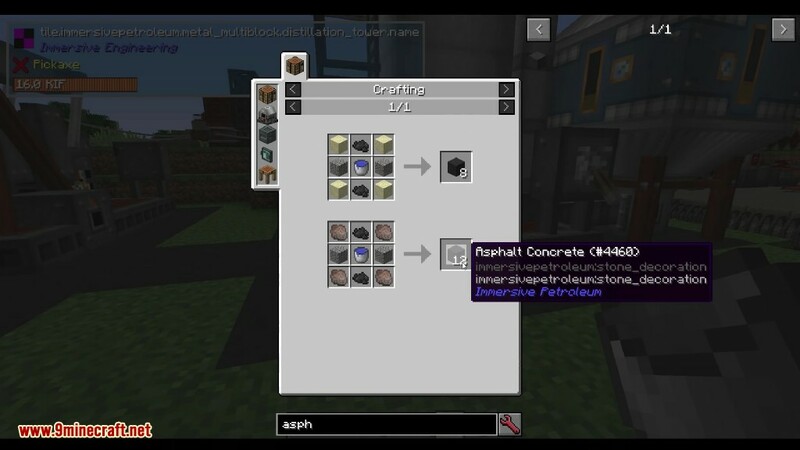 It is a purely decorative block, a darker-colored alternative to Concrete from base Immersive Engineering. It is created as a byproduct of using the Distillation Tower to process Crude Oil and is used to make Asphalt Concrete. It can be extracted from Oil Reservoirs through the use of a Pumpjack. 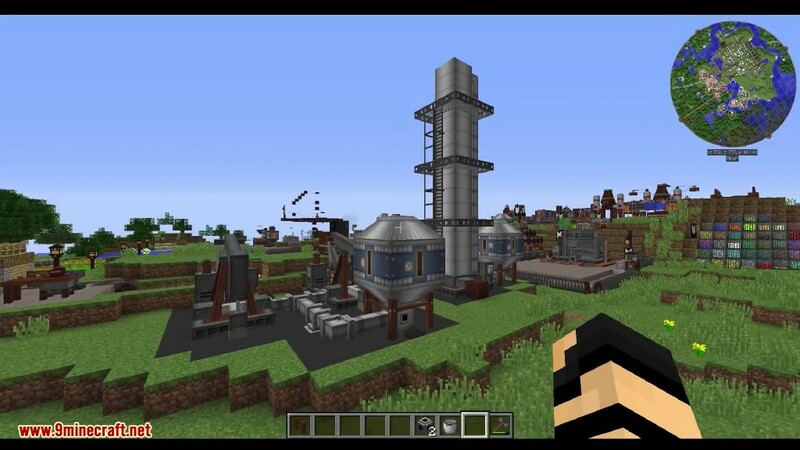 Crude Oil can be processed in a Distillation Tower to produce Diesel, Lubricant and Bitumen. It is produced by processing Crude Oil in the Distillation Tower and used to produce energy with the Diesel Generator as an alternative to Biodiesel. 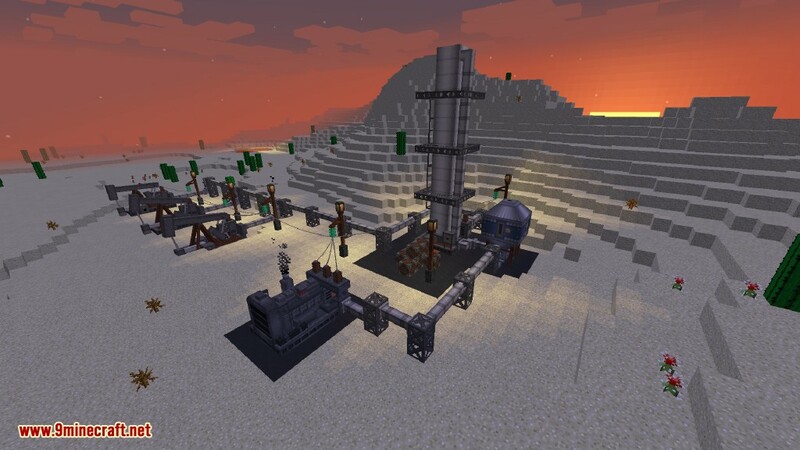 It may also be used as fuel for the Mining Drill. It is produced as a byproduct in the Distillation Tower while processing Crude Oil. Lubricant can be used to speed up machines. Using a Lubricant Can full of Lubricant or Plant Oil on an Excavator, Crusher, or Pumpjack will increase its speed by 25%. For long-term lubrication, players can set up an Automatic Lubricator. It is similar to Diesel but is most suitable for small engines. It is created in the Distillation Tower. 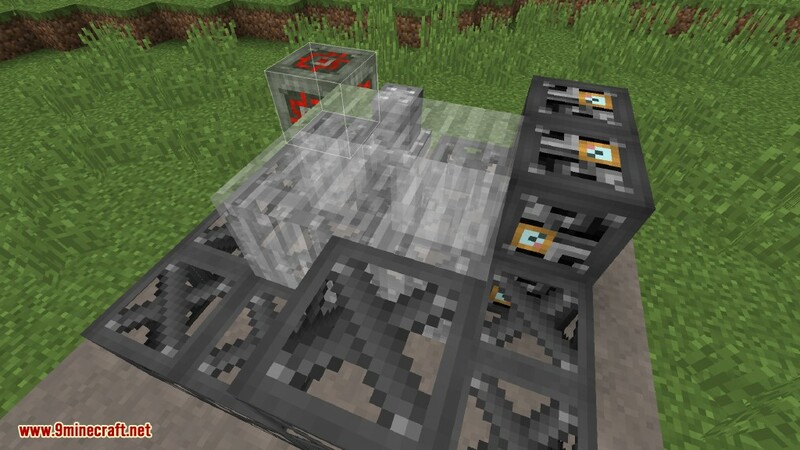 A Portable Generator can be created as an all-in-one mobile power solution that burns Gasoline to produce Redstone Flux (RF). 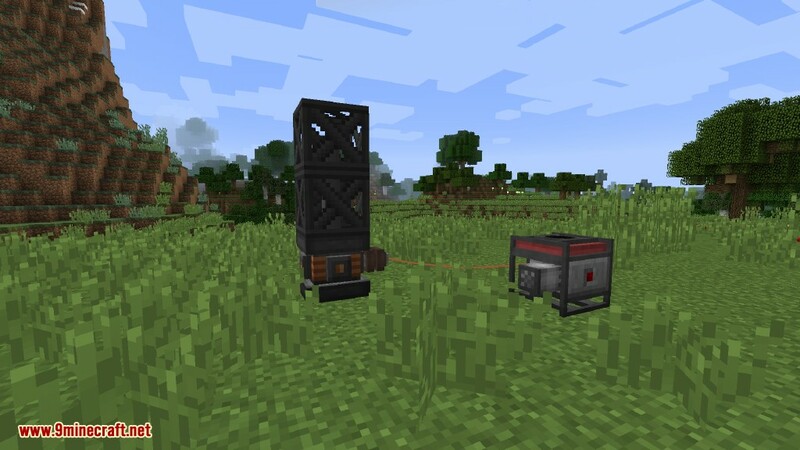 The Portable Generator can be picked up in a click, and stores all internal fuel and RF inside until placed back down. 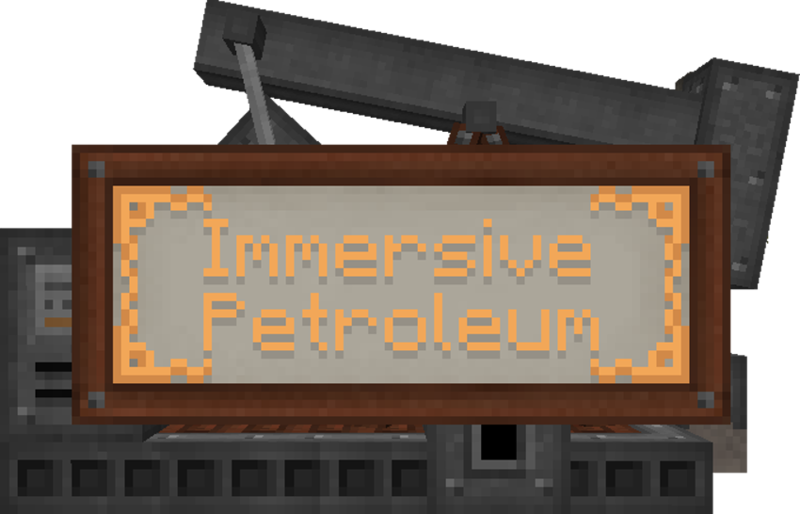 Fluid Reservoirs are large deposits of fluid added by Immersive Petroleum that can be found under Bedrock. The only way to locate these reservoirs is by using a Core Sample Drill, and they can only be harvested using a Pumpjack. Each chunk has a chance to contain a Fluid Reservoir, including chunks in dimensions other than the Overworld. 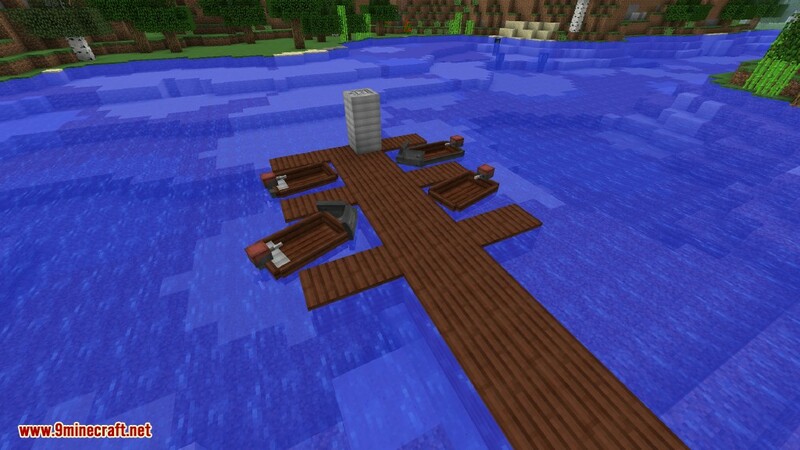 Each reservoir only takes up one chunk, and can range in size. Some types of fluid reservoirs may contain trace amounts of fluid even after being depleted, so a single Pumpjack may extract small amounts of fluid infinitely. By default, there is a 50% chance for a chunk to contain a Fluid Reservoir. Below is a table that shows each reservoir type included in the base mod, as well as its weight and contents. 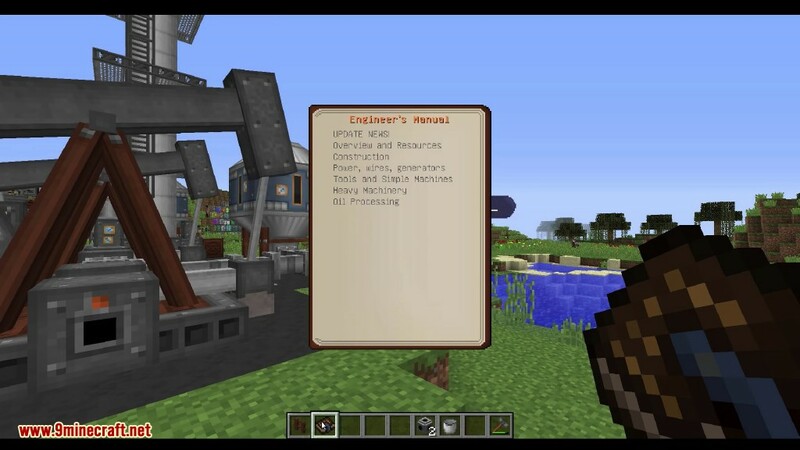 Make sure you have already installed Minecraft Forge and Immersive Engineering Mod.